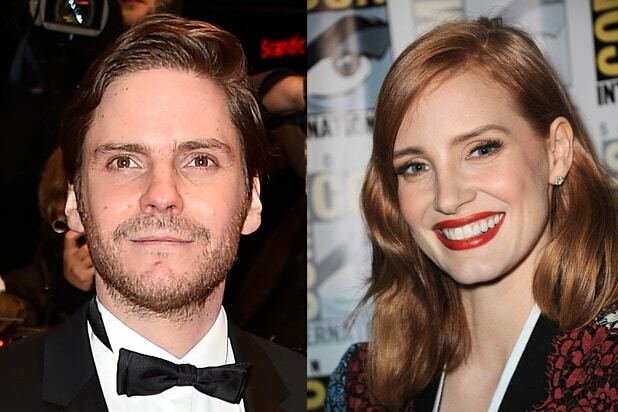 Focus Features has acquired U.S. distribution rights to “The Zookeeper’s Wife,” which will star Jessica Chastain, Daniel Brühl and Johan Heldenbergh (“The Broken Circle Breakdown”), TheWrap has exclusively learned. Additionally, Universal Pictures has acquired international distribution rights to the film in the UK, France, Germany, Scandinavia, Latin America and Eastern Europe. Niki Caro (“McFarland, USA”) will direct from a script by Angela Workman, who adapted Diane Ackerman’s novel of the same name. Published in 2007 by W.W. Norton & Company, the book is based on the unpublished diary of Antonina Żabińska. The film depicts the true story of Antonina Żabińska and her husband Dr. Jan Zabinski, the director of the Warsaw Zoo, who together courageously and creatively used the zoo to help approximately 300 Jewish people escape from the Warsaw Ghetto after the Germans invaded Poland in September of 1939. Liddell Entertainment is co-financing “The Zookeeper’s Wife,” which is being produced by Jeff Abberley, Jamie Patricof, and Kim Zubick. Production starts next month in Europe, and Sierra/Affinity will handle international sales. Brühl recently starred in “Woman in Gold,” Ron Howard’s “Rush” and Bill Condon’s Julian Assange movie “The Fifth Estate,” and he previously co-starred in Quentin Tarantino’s “Inglourious Basterds.” He’ll soon be seen alongside Bradley Cooper in “Burnt,” opposite Emma Watson in “Colonia” and as Baron Zemo in Marvel’s “Captain America: Civil War.” He’s represented by WME, Tavistock Wood in the UK and Players in Germany. Heldenbergh’s credits include the foreign-language hit “The Broken Circle Breakdown,” as well as “The Misfortunates” and “Ben X.” He’s repped by Agence Elisabeth Simpson.